Mario Lanza possessed "one of the truly great natural tenor voices of the past century—a voice of beauty, passion, and power!" So declares Plácido Domingo in his preface to Armando Cesari's 2004 biography, Mario Lanza: An American Tragedy. 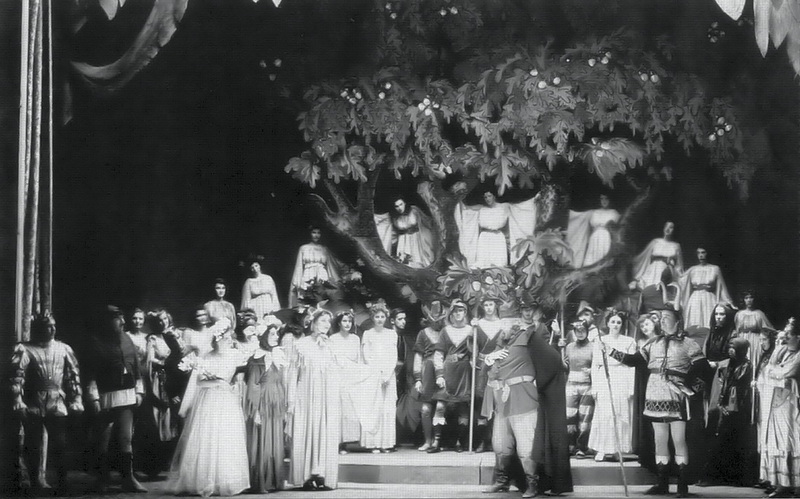 Crediting Lanza's films with doing "more to lure the general public to the art form of operatic singing than the voice of almost any other performer before his time," Domingo also acknowledges the tenor's impact on many of his colleagues. And yet, he observes, "Many people in the classical music world refused to recognise [Lanza] and actually belittled not only his impact on the public but his God-given voice." Largely attributing such "antagonism" to jealously and snobbery, Domingo chides the musicological fraternity for its lingering prejudice towards this vocal "force of nature." But attitudes are rapidly changing. In a 2004 reassessment of Lanza, the eminent musicologist William Park pronounced himself astonished by the tenor's vocal prowess. "I simply could not believe my ears!" Park declared of the CD of concert and home recordings that accompanies Cesari's biography. Singling out Lanza's 1952 home recording of the Improvviso from Andrea Chénier, Park went on to praise the tenor's "superb diction, beauty of voice, [and] incredible feeling for the words." In short, he concluded, it is "a magnificent rendering of the aria . . . certainly to be ranked with the best." 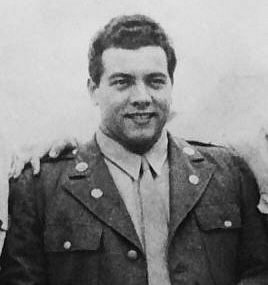 Mario Lanza was born Alfred Arnold Cocozza in South Philadelphia on 31 January 1921. The only child of Italian immigrants Antonio Cocozza and Maria Lanza, young Freddie—as he was known then—grew up listening to his father's extensive record collection of great singers. Besotted with opera from a very early age, Freddie was 16 when his own vocal endowment became apparent, and within a few years he was appearing in local operatic productions staged by the YMCA Opera Company in Philadelphia under the direction of former tenor Rodolfo Pili. Lanza's (amateur) roles included il Contino del Fiore in the rarely performed Crispino e la Comare [The Cobbler and the Fairy] (1850) by Federico and Luigi Ricci. In 1940 he began studying repertoire with the former soprano Irene Williams, who taught him twenty songs and two operatic roles. Two years later, Freddie came to the attention of the celebrated conductor Serge Koussevitzky, who declared of the then 21-year-old tenor, "Yours is a voice such as is heard once in a hundred years. "1 Koussevitzky promptly invited Freddie to the Berkshire Music Festival in Tanglewood, Massachusetts, where he provided him with a full student scholarship. 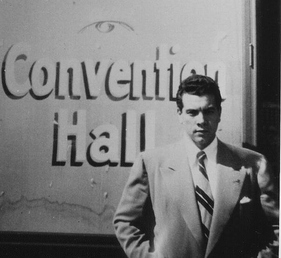 It was here that Alfred Cocozza became Mario Lanza—the masculine form of his mother's maiden name. After just six weeks of intensive study with conductors Boris Goldovsky and Leonard Bernstein, Lanza was deemed ready to make his operatic debut, appearing at the Festival in the role of Fenton in an English-language translation of Otto Nicolai's 1849 comic opera The Merry Wives of Windsor on 7 August 1942. "Few Equals Among Tenors of the Day"
The performance was a considerable personal success for the young tenor. Writing in the New York Times the following day, critic Noel Straus hailed Lanza as "an extremely talented, if as yet not completely routined student, whose superb natural voice has few equals among tenors of the day in quality, warmth, and power." [Read the review here.] Straus further commented on Lanza's "first-rate" diction—an aspect of the latter's singing for which he would later become justly renowned. Lanza sang a second performance as Fenton six days later at the Berkshire Festival, and also appeared there as Rodolfo in a staging of the third act of Puccini’s La Bohème on July 27 (with Leonard Bernstein conducting) and again on August 14. 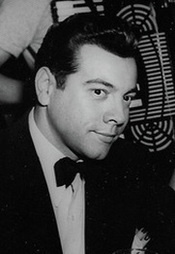 For the latter performance, he earned praise from music critic Jay C. Rosenfeld, who wrote that, "Miss [Irma] Gonzáles as Mimi and Mario Lanza as Rodolfo were conspicuous by the beauty of their voices and the vividness of their characterizations." In an interview published in March 2008, the Mexican-born González described Lanza as "a charming boy—very correct, likeable [and] with a powerful, beautiful voice." World War II abruptly halted Lanza's budding operatic career. Exempt from active duty because of partial blindness in his left eye, the tenor was assigned to limited military service. After a period of basic training, he joined Special Services, performing with Frank Loesser's wartime variety show On the Beam. Soon he was being dubbed "the Force's Caruso." It was during this period that the weight problem which would plague him for the rest of his life came to the fore, with Lanza ballooning to 260 pounds (118kg). After touring army bases with On the Beam for more than six months in 1943, Lanza was assigned to the chorus of Moss Hart's musical play Winged Victory. In November 1943, the latter production moved to Broadway's 44th Street Theater, where it played for six months. Lanza then moved with the Winged Victory company to Los Angeles, where the play was to be filmed by Twentieth Century Fox. It was while he was in Los Angeles that Lanza met 21-year-old Chicago native Betty Hicks, the sister of one of his army friends. By all accounts, it was a case of love at first sight. 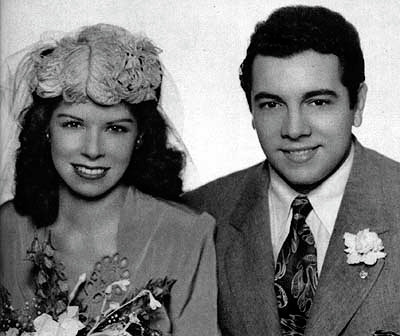 On 13 April 1945, three months after Lanza's discharge from the Army, the couple were married in a civil ceremony in Los Angeles. Their marriage—although stormy at times—would be a successful one, and it produced four children: Colleen (1948-1997), Ellisa (1950- ), Damon (1952-2008), and Marc (1954-1991). By now Lanza had been signed to an exclusive contract with RCA Records' classical Red Seal division. 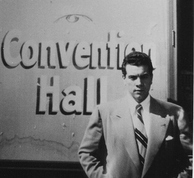 However, given that most of his training to date (1945) had been on repertoire, rather than on technique, Lanza was not yet ready to record commercially. Keenly aware of his deficiencies, he resumed work on voice technique in New York with baritones Robert Weede and Grant Garnell, both of whom he had informally studied with prior to his army service, and on repertoire with Debarau ("Polly") Robinson and Renato Bellini. He also worked closely with conductor Peter Herman Adler, then Musical Director for the Columbia Artists Management Touring Opera Company. Their first concert together was in Atlantic City in September 1945, with Adler conducting the NBC Symphony Orchestra. The Czechoslovakian-born Adler (1899-1990) subsequently became one of Lanza's most outspoken champions, telling colleagues that the young tenor possessed "the greatest inherent, instinctive musicality" he had encountered. 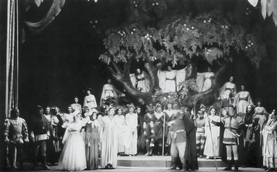 Adler went on to conduct most of the musical selections in The Great Caruso (1951), later opining that Lanza had "made mincemeat" of the Metropolitan Opera singers with whom he had sung in the film. In 1951 he told Time magazine that if Lanza were to spend "ten years with the right opera company, . . . no one could compare with him."